In this post I share a few tips and insights about getting started as a motivational speaker. Public speaking – we all need a bit of motivation! From schools to corporations, motivational speakers, or at least, a speaker who’s able to motivate their audience, are still very much in demand. It can be tricky to get paid to be a motivational speaker immediately. You need a track record. In the video I share how you can get started and a chance for you to make a huge difference in people’s lives. I also share how I took a tip I learned from watching renowned motivational speaker Les Brown. I tried it out with a school audience and received some interesting feedback! Watch it to find out more and then if it’s your dream to motivate and inspire from the stage, just get started!! Find a place to speak and see if your motivational message works. 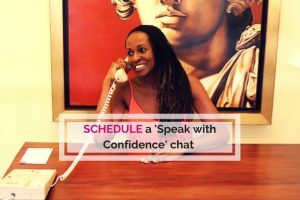 2 – Check out my program for business owners – Get Clients with Speaking. Use this course to become a more accomplished speaker, step up, speak up and grow your business. You can take the program in self-study mode, as a group course or via private 121 sessions with me. 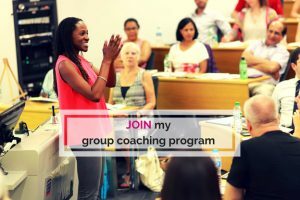 3 – Find out about my VIP Days and private coaching. 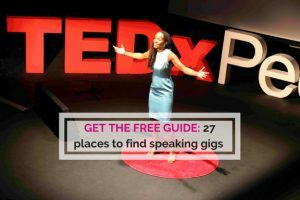 It’s for coaches, consultants and entrepreneurs who want to use speaking to build their business.